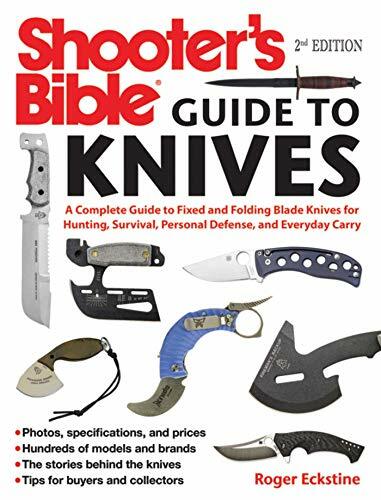 The Shooter’s Bible Guide to Knives contains everything you need to know about owning, maintaining, and buying all kinds of knives. It sets the basic standard for thorough publications by continuing the Shooter’s Bible tradition of compiling more information and products than any other source. It belongs on bookshelves with other knife collecting books, knives books, firearms survival guides, and top knife books. It is also a classic shooter book.